Do you want to be a counsellor? Where do you start? In our new student series, we want to learn more about becoming a counsellor. What steps are taken, and what makes a person want to be a counsellor? What would a professional say to a student? This week, Counselling Directory member, Marianne Allday shares her story. After my first degree (BSc Hons Psychology), I worked as a marketer and market researcher for many years. I had been encouraged to enter human resources as a career – a common aim for Psychology graduates then – but I felt too young, at 21, to be telling people twice my age how to live their working lives and how to behave. I am not so impudent; a good lesson in humility. Marketing and market research suited me well and I was able to make use of my psychological training in good measure. It was when I got to a stop/start point in my marketing career that I felt I had to choose between becoming a director, carrying even more responsibility, spending even less time at home with my daughter, spending even more time travelling, and changing career, re-training to become a counsellor. I chose to change and it is one of the best decisions I ever made. I love my counselling and supervisory work. It was, of course, not a coincidence that counselling was attractive to me. I loved my psychology training and felt nourished by it. For me, there is nothing more fascinating than people. But, back then, to engage in psychological work or psychotherapy, years of further training loomed before me and I was not, at 21, ready for that. I wanted to join the world of commerce and industry, and grow up. How did you get where you are now (previous jobs, training, etc.)? My years working as a qualitative market researcher were not wasted. Qualitative interviewing and group moderation, interpreting data and presenting to high-level clients all helped me to hone skills that were transferable and relevant in counselling: how to listen, to hear the music behind the words, to choose words carefully, to re-frame concepts and feelings, and to present views and insights clearly. However, my first degree and all these acquired skills did little to prepare me for the personal challenges I had to face in my training to become a counsellor. I was fortunate enough to train at the University of Warwick, with an excellent team of tutors, who challenged every utterance and encouraged us to expose ourselves and become increasingly self-aware as the three years of study progressed (I think much of this is called mindfulness today, although the definitions of ‘mindfulness’ seem to vary alarmingly). There was all the academic work as well, as you would expect: reading, essays, role play, research, tutorials, lectures and so on, but it is our personal growth and development – severally and together – that I remember most clearly. There was also the requirement to undertake my own counselling and to become a counselling volunteer. Finding a placement can be difficult and take time and 110 hours (the requirement in my case) can be difficult to amass, the learning curve is steep. A few years later, when I had some years of counselling experience, in a variety of different settings, I returned to Warwick to take an advanced diploma in supervision. Another good decision. Both these courses of study were in the person-centred, Rogerian, tradition, focusing on acceptance, non-judgemental positive regard for others, empathy and humility. As our training progressed, it became clear that these values had to be incorporated into my whole way of being, not just attitudes to be demonstrated in the counselling context. Not easy; without vigilance in everyday life, it is much easier to be negative than positive, impatient rather than empathic and judgemental rather than humble. But it does feel good when you get somewhere close to these values and manage to follow a person-centred ‘way of being’ – productive too. I don’t go in for regrets much. Perhaps I should have persisted with my studies when younger, done the further study and started my working life as a psychologist and psychotherapist, back then, before ever getting into marketing? The 21 year old me would have been aghast at the thought of yet more study, though. And I have some doubts that I would have been as good a counsellor, back then, without the life experience I have now. In some ways, I wish I had started re-training to be a counsellor sooner because then I would have more time to practice counselling through the rest of my life. But then, I enjoyed being a consultant marketer and market researcher, and I enjoyed the salary that went with it. 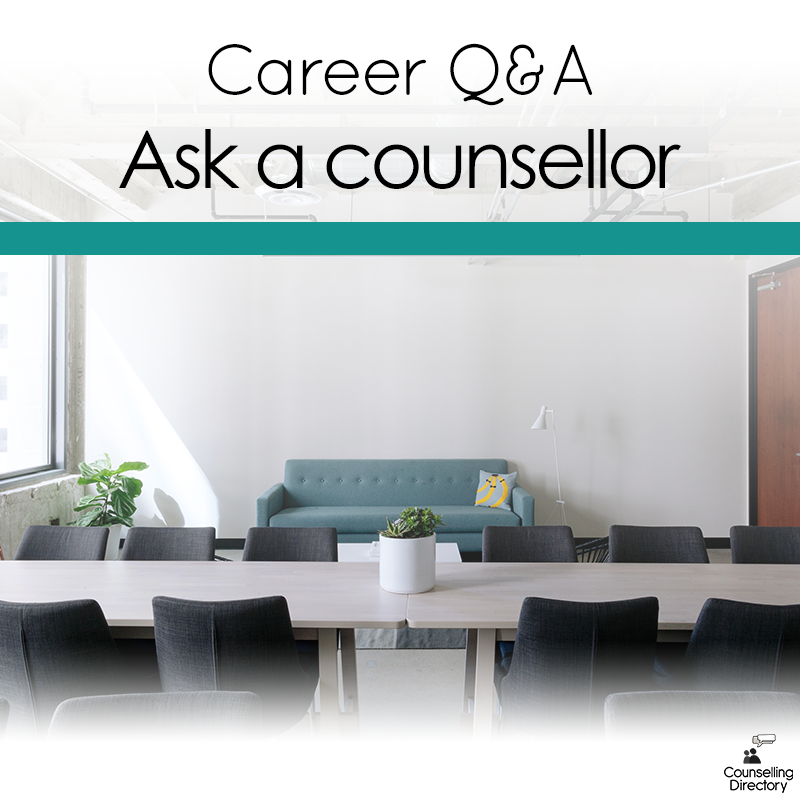 Once in the counselling field, I would have liked to do more research and more of the academic side of counselling, but my first desire was to get out there and counsel, so I chose the more practical path. I felt that wherever I went next, I needed experience as a counsellor and in varied settings. So for every possible regret, I seem to find a counter-balance. There is one exception to that: I wish I had learned a person-centred ‘way of being’ sooner. What advice would you give to any students currently training? Immerse yourself in your training. Be brave; personal development and self-awareness are critical to good practice and they come at a cost. It is necessary to allow yourself to be vulnerable, to expose the deep, dark corners of your soul and see what nasties lurk there. And, sometimes, you even have to let others see them. You have to examine your prejudices (we all have them) and try to eradicate them. In my experience, as soon as you manage to demolish a prejudice, another one pops up to fill the gap, so the work is in constant progress. You have to learn to accept your weaknesses, even while working on them. How else are you going to be able to accept others, your clients, with the necessary level of humility and non-judgementalism? Read and learn the code of ethics: ethical practice is good practice and it is vitally important. There are too many unethical counsellors out there. Expect to be burned by your work from time to time: you may receive some of a client’s pain which can leave you emotionally burdened and wounded. Be aware of what is going on, take it to supervision, learn how to manage this. Some of it goes with the territory, some of it can be labelled ‘not mine’ and put aside. Love your work; counselling is a vocation, a passion, a way of being – much more than just a job. The way I work Can loneliness be a valuable experience?